With over a decade of experience we are the leading name in Brighton for bespoke timber sash windows solutions. We have a fully equipped joinery and a team of highly skilled craftsmen that understand the mechanics and technicalities involved in the production, repair and restoration of high quality sash windows. Our timber sash windows feature modern draught proofing and locking handles while retaining the beauty of old fashioned craftwork. When you are looking for bespoke or off-the-shelf windows we are your best choice. We can come to your property and show you a catalogue of available off-the-shelf options, and also show you some of the bespoke designs we have done for customers in Brighton over recent years. We might have done just the design you are looking for. Every year we complete hundreds of repair and restoration jobs on houses, businesses and heritage buildings. Our experience means that we can always get the job done efficiently and smoothly. We have all of the specialist equipment you expect of a top-level national windows company, but we are a local company with that friendly approach you only get when dealing with local people. 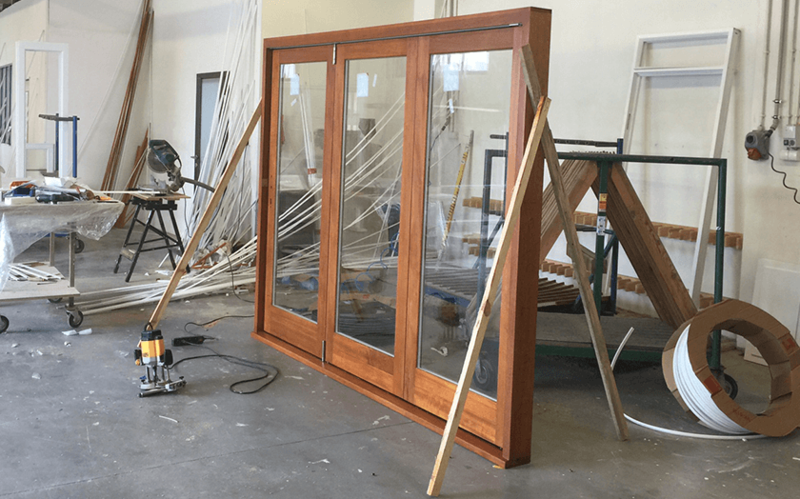 Our fully equipped joinery is able to produce all of the new word you require for repairs, and build bespoke frames and boxes that make your property stand out. We can also help you with all the necessary approvals required if your building requires it. Get in touch if you are unsure whether you need to get council approval. We have already covered a little bit about why you should go for us. We have a can-do attitude and a friendly approach. We are a local company and therefore charge affordable rates compared to many of our competitors. We treat customer windows as if they were our own, discharging our daily tasks with meticulous concentration and attention to detail. We overcome challenges fast, and are able to complete just about any job you could possibly come up with on sash windows. Over the last decade, we have firmly established ourselves as the leading place to go when in need of timber sash windows in Brighton. All our timber sash windows are made to measure. We have built a reputation for impeccable customer service and after sales service too. We go the extra mile to the process to ensure that you are 100% satisfied with the end result. That is why over 50% of our new business comes from happy customers referring their friends and family to us. This is a fact we are very proud of and we feel speaks volumes about the job we do. Whether you need a repair, renovation or new installation of timber sash windows we always start with an inspection. We can give you some initial ideas and thoughts over the phone, but it isn’t until we visit your property and take a look that we can give you a full and thorough quotation on the work to be done. Will be upfront and honest with you about all costs, and will break them down so you can understand what we’re going to do. We can source all materials and do all the work on your schedule. It is our job to get your windows how you want them with as little disruption to you as possible. If this means working evenings and weekends then that is what will do. Get in touch today and book your free consultation. We are confident that you will approve of the timber sash window quotation we provide; the majority of potential customers that we quote go on to work with us.